Long Lake, N.Y. - Two Adirondack institutions, devoted to telling the stories of the natural and human history that have formed this remarkable corner of the world, recently received gifts that will enable both to continue their missions for many years to come. 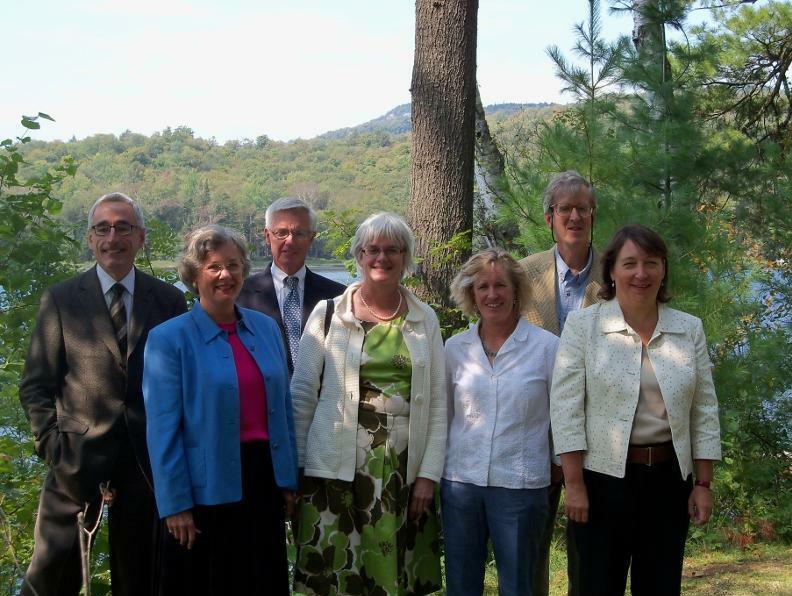 The Wild Center/Natural History Museum of the Adirondacks and the Adirondack Museum announced today that they will each receive $2.4 million in the form of bequests from the late Linda K. Vaughan, a long-time seasonal resident of Long Lake as well as member and donor of both museums. Dr. Vaughan&apos;s love of the Adirondacks and its wilderness developed at a young age when she was a canoeing guide at Silver Lake Camp girl&apos;s camp in the late 50s. The Adirondacks became her favorite place to relax and she returned every year where she became a quiet but consistent supporter of both the Adirondack Museum and The Wild Center. "Dr. Vaughan&apos;s bequest is a magnificent surprise and the single largest gift that The Wild Center has received from an individual," said Stephanie Ratcliffe, Executive Director of The Wild Center. "Bequests are a wonderful way to leave a legacy to an organization that the donor believes in, often times allowing for a gift larger than possible during the donor&apos;s lifetime. This is truly a transformative gift that allows both of our museums to plan for the future and assist each of us in continuing to preserve and interpret the significant natural and human histories of the Adirondacks." "The gift from Linda Vaughan&apos;s estate came as a wonderful surprise to all of us here at the Adirondack Museum," said David M. Kahn, Executive Director of the Adirondack Museum. "The years she spent at Silver Lake Camp as a girl inspired Ms. Vaughan&apos;s love for the area. We are truly humbled by her overwhelmingly generous bequest which will allow the museum to continue to preserve the history of a place that was so special to her, and share it with so many others." Ms. Vaughan&apos;s bequest to the Adirondack Museum was in honor of Caroline M. Welsh, who served the Adirondack Museum for over two decades, first as a Curator and then as Director. Originally from Wellesley, Massachusetts, Dr. Vaughan was Professor Emerita of the Department of Physical Education and Athletics at Wellesley College, and was Chair/Athletic Director of the Department from 1973 to 1990. She continued teaching until her retirement in 2000. Dr. Vaughan graduated from Hathaway Brown School for Girls, in Shaker Heights, Ohio, where she was referred to as "blue-eyed perpetual motion." Linda then went on to obtain B.S. and M.A. degrees from Russell Sage College, where she received the Aldrich Award for Proficiency in Sports. After receiving her Master&apos;s Degree in 1962, she went to Wellesley College as an instructor of Physical Education. She received her Ph.D. in Physical Education from Ohio State University. Dr. Vaughan then served as Professor and Director of the Master&apos;s Thesis Program in Physical Education at Smith College in Northampton, Massachusetts for several years. Dr. Vaughan returned to Wellesley College in 1973, as Chair/Athletic Director of the Department of Physical Education, Recreation and Athletics. As Chair, she remolded the Wellesley intercollegiate athletics from its club status infancy into a strong and viable program, hiring the first assistant athletic directors, athletic trainers, specialized coaches, and assistant coaches. Noted for research in the field of sports psychology, Dr. Vaughan authored many papers in the field. Of particular importance was her sabbatical research in women&apos;s exercise physiology done at the Army Research Institute for Environmental Medicine in Natick, Massachusetts. At the time women were just being admitted into the Army as regular soldiers. The studies were important in demonstrating that not only were women able to undergo the same demanding physical training as men but that they didn&apos;t quit when pushed. Dr. Vaughan also authored a book titled Canoeing and Sailing in 1970. Dr. Vaughan passed away in 2009.